On Wings of Eagles: Are your eyes open to those around you? Are your eyes open to those around you? No matter where we live, we will encounter poverty. There will always be people in need as well as individuals who are hurting. All of these people are desperately looking for hope. What will we do about it? Is our church just a building where we can securely worship God for a couple of hours each week, or is it a beacon that shines like never before? Staying safely within our four church walls is not what we were destined to do. Let us travel on the other side of this world, to a country renowned for its past racial apartheid, South Africa. Let us meet Senior Pastor John Thomas from King of Kings Baptist Church located in Fish Hoek. He, too, with his staff, had to face those who were hurting and were desperately looking for hope. In 1999 he was made aware through statistics that 44% of the residents of the township of Masiphumelele, a nearby town, were suffering from HIV. What would he and his church do about this? He couldn't let this rest. Something had to be done about this situation, especially since they were in his very neighborhood! He expected some of his members to be opposed to even considering helping their neighbors. Going against the grain of Apartheid isn't easy! Would the church be supportive or could this possibly even affect his long term future of his position at the church? With any God-given task, opposition will always arise, and we all know where it comes from. If we don't give up, God will shine like never before! And shine He did! Pastor Thomas learned that, "When I am weak, then I am strong." (2 Corinthians 12:10b, NIV2); and "The one who is in you is greater than the one who is in the world." (1 John 4:4, NIV2). 14 years ago many who lived in Masiphumelele had no hope at all for a bright future. Kids as young as six were addicted to alcohol and drugs. By the time they were 11, most kids actually hope to obtain AIDS! Why? So that their suffering would end by the time they were twenty! They literally had nothing to look forward to. All of this changed when Christians went beyond the four walls of their church and started to show compassion to the downtrodden. Living Hope currently has a budget of 1.2 Million dollars a year and a full-time staff of 185 and several missionaries who have come to serve with Living Hope. Don't take me wrong, it isn't easy to work amidst a dying population, but the hope this team provides is what energizes them. God's Word becomes a reality amidst such realities. Interestingly, the church itself only has a 300,000$ yearly budget and a total staff of 9. Their focus is clear: to make a difference in this world and bring hope to the downtrodden. The people dying of HIV no longer have to die alone. They can face death without fear. Prevention and counselling happens in multiple Support Groups reaching several thousand and support is given to those facing the harsh facts of their condition. Many are provided with treatment that keeps their disease under control so that they can live a normal life, and hope is truly blossoming among that poor community. This one local church of about 450 people now has an outreach to around 30,000 people per year in their area who face the despair of poverty and disease. The hope of Jesus is brought to these folk. When we make a difference in this world, people around us notice. Bringing hope makes a huge difference amidst the hopeless. The local government actually asked that this very same church to consider running the government's health infrastructure! Hope is catchy! Wherever we live, be it in the most luxurious city in this world or in a well-to-do country, we will always notice hopeless people who are in dire need. In such situations it is so important that we don't dismiss them, but instead, that we approach God to find out what He would like for us to do. Dear Lord, Help our eyes be open to those around us. Help us be the ones that make a difference for someone today. In the Name of Jesus, Amen. Have you made any contributions to the society? Would you carry the cross? 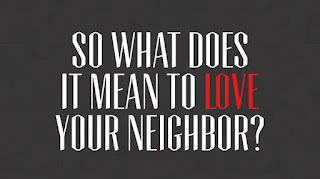 Do you love your neighbor as yourself? Will you follow the Greatest Hero? This tent is not our eternal home. Do you take the time to be alone with God? Is there a better sacrifice you could give God? How will you let God use you today? 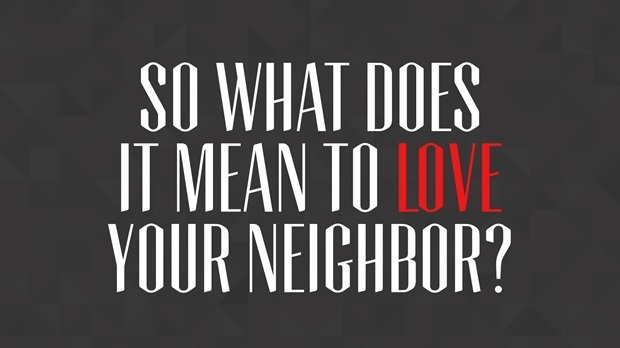 Do you have a loving church? Are we willing to reach out to the hopeless ones?